Face off against your 8 Mighty brethren and unlock new transformations as you defeat them, granting you unique skills and abilities! GERMAN COVER AND BOOK. 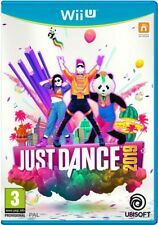 Just Dance 2019 Wii U PRE-ORDER ITEM Release Date: 26/10/18. Features: - With Just Dance Unlimited, dance to more than 400 songs all year long. Up to six players can play together. WII U > Family. The Force Awakens, retold through the clever and witty LEGO lens. Star Wars: The Force Awakens through exclusive new story levels. More “I” in A.I. – Enemy fighters can now build using LEGO bricks to support. In LEGO Star Wars: The Force Awakens, players relive the epic action from the blockbuster film Star Wars: The Force Awakens, retold through the clever and witty LEGO lens. Play as Rey, Finn, Poe, BB-8, Kylo Ren, Han Solo, and the rest of your favourite characters from the movie! For Sale Bayonetta 1 & 2 - sealed Wii U. Title: Call Of Duty: Ghosts. This new chapter in Call of Duty features a new dynamic where players are on the side of a crippled nation fighting not for freedom or liberty, but simply to survive. Format: Nintendo Wii U. We will always go out of our way to source the product you are looking for. The Star Fox team arrives on Wii U for a new adventure! Fox, Falco, Peppy and Slippy save the Lylat system in this new deep space dogfighting adventure. This frees up the TV for a more cinematic flight experience. NB: Wii U games do not work on the Wii Product Description Pushing the boundaries of what fans have come to expect from the record-setting entertainment franchise, Call of Duty: Black Ops II propels players into a near future, 21st Century Cold War, where technology and weapons have converged to create a new generation of warfare. Combining incredible high-dynamic range graphics and sensational new gameplay, Black Ops II sets you off on secret operations as Frank Woods – the protagonist from the original Black Ops game. The non-linear storyline will see you battling during a futuristic Cold War, as well as tackling flashbacks from historical missions and playing as various members of the Mason family. Every decision you make during this story will affect future consequences, giving. Yoshi's Woolly World (Nintendo Wii U, 2015). Condition is Very Good. Dispatched with Royal Mail Signed For® 1st Class Large Letter. New listingSuper Mario Maker (Nintendo Wii U, 2015). Perfect. Super Mario Maker (Nintendo Wii U, 2015). Perfect.. Condition is Like New. Dispatched with Royal Mail 1st Class Large Letter. 4.5 out of 5 stars - Super Mario Maker (Nintendo Wii U, 2015). Perfect. 4 product ratings4 product ratings - Super Mario Maker (Nintendo Wii U, 2015). Perfect. SEE PIC OFF WHAT YOU GET. LEGO City Undercover (Nintendo switch game ). Condition is Like New. Dispatched with Royal Mail 1st Class Large Letter. It will not play on NTSC format consoles from countries such as the USA and Canada. Lego Star Wars - The Force Awakens for the Wii U.
shovel knight, nintendo wii u. Condition is Very Good. Dispatched with Royal Mail 1st Class Large Letter. XENOBLADE CHRONICLES X ON NINTENDO WII U. FULL WORKING ORDER. Bayonetta 2. For Nintendo Wii u.
Super Mario Maker (Nintendo Wii U, 2015). Condition is Very Good. Dispatched with Royal Mail 1st Class Large Letter. The plastic front cover has a tear. A new adventure from KING Art, the creators of The Book of Unwritten Tales, The Critter Chronicles and The Raven - Legacy of a Master Thief. Legend foretold it. Prophecies predicted it. Chosen ones chose to believe in it. Super Mario 3D World (Nintendo Wii U, 2013). Condition is Very Good. Dispatched with Royal Mail 1st Class Large Letter. Super Smash Bros. (Wii U, 2014). Condition is Like New. Dispatched with Royal Mail 1st Class Large Letter. Does not include Nintendo points code. Issabelle Amiibo. Digby Amiibo. 3 Limited Edition Amiibo Cards (Goldie / Rosie / Stitches). 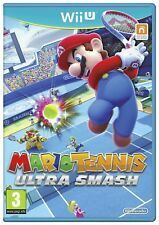 NINTENDO WII U GAME - NEW SUPER MARIO BROS U... Includes instructions. Condition is Good. Dispatched with Royal Mail 1st Class Large Letter. Game in excellent condition, manual has seen better days. New Super Mario Bros U - Nintendo Wii U. 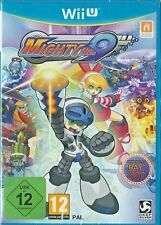 This is a BRAND NEW and SEALED Nintendo Wii U Game * Please note this is a Wii U game and will not work on a standard Wii console * . BRAND NEW AND SEALED Sonic Boom: Rise of Lyric (Nintendo Wii U, 2014). Condition is New. Dispatched with Royal Mail 1st Class Large Letter. Pokken Tournament - Nintendo Wii U. Condition is Very Good. Dispatched with Royal Mail 1st Class Large Letter. Wii U is a home videogame console from Nintendo, the leading producer of game consoles and games. 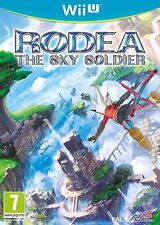 The range of Nintendo Wii U video games covers a wide array of genres and there are hundreds of titles available for all age groups and abilities. Nintendo likes to produce multiplayer games that are fun for all the family to become actively involved in. It is why many Wii U games are designed to be played in an active way. For example, to play Nintendo Wii U sports games you have to move the motion controller around as if you are holding a real racket, bat or steering wheel. Nintendo Wii U games such as the Wii party U are designed to bring the essence of playing board games to the video screen and develop on the game play possibilities. They use the unique Wii U gamepad, which has a touchscreen feature and a screen protector as well. Game play on the touchscreen controller is integrated with the action on the main TV screen. As a leading producer, Nintendo has developed many exclusive video game series and characters, such as Mario, Zelda and Donkey Kong. All these fan favourites have Nintendo Wii U editions and the titles include Mario Strikers Charged, Legend of Zelda: Twilight Princess, Wii U New Super Mario Bros and Donkey Kong Country Returns. Third party video game makers have produced many popular Wii U video games. Third party Nintendo Wii U game titles include games that bring the action from blockbuster film series, such as Harry Potter, Star Wars and Transformers to the game player. Leading toy brands also have Nintendo Wii U games available. Lego has released Nintendo Wii U video games based on famous films and superhero characters, which are popular with young children and the Bratz dolls Wii U video game, Bratz Kidz Party, is specifically targeted at girls.